A comprehensive network of specialist imaging companies has been unveiled to support the sales and maintenance of Tomocube’s holotomography microscopes around the world. Covering North America, Europe and Asia, the 23-strong group is being launched as Tomocube prepares to introduce its second microscope model in less than three months. 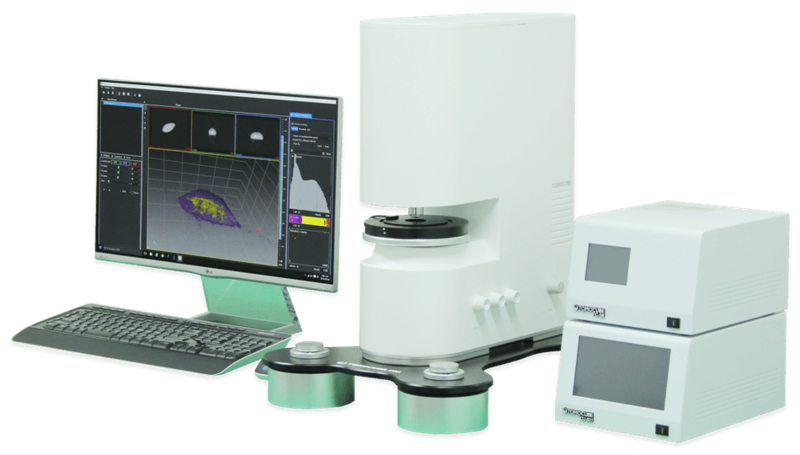 The new Tomocube HT-1 holotomography microscope, shown with its maglev-based antivibration TomoPlate and custom-made controllers for temperature and gas. The launch of the new network comes as Tomocube readies a sister microscope to the just-launched HT1. Sharing the HT-1’s patented light shaping digital micromirror device that generates the unique 3D tomograms, the new instrument will incorporate complementary imaging capabilities to help researchers and clinicians understand, diagnose and treat human diseases.